The upside-down "W" of the main portion of the modern constellation Vulpecula, the Fox, lies just down and to the right of center. The bright star just to the right of top center is Albireo in Cygnus. Anser, Alpha Vulpeculae, is just down and to the right of Albireo, while 3 Vul is immediately to Albireo's right. Note Anser's reddish color and its line of sight "companion," 8 Vulpeculae, just barely up and to its left. 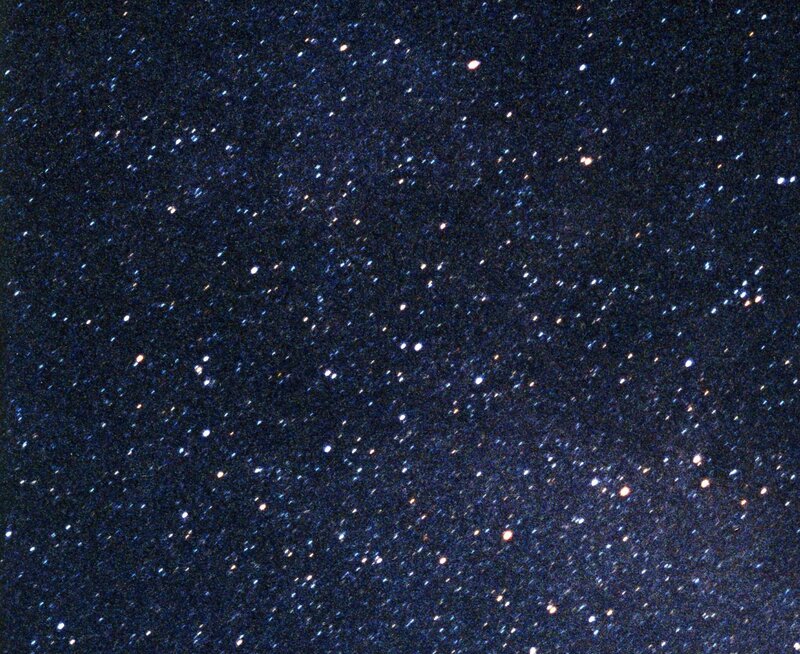 The stars of Sagitta are at the lower right corner. 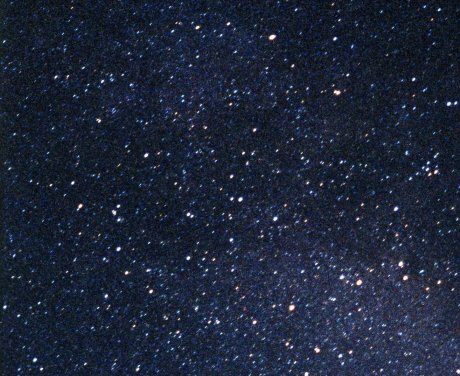 At far right are the stars of the false Coathanger Cluster. M 27, the Dumbbell Nebula, one of the sky's most prominent planetary nebulae, is just down and a bit to the right of the W's center star, 14 Vul. The Milky Way runs from upper left to lower right. Vulpecula has a star with an orbiting and transiting PLANET. See Vulpecula from Flamsteed's Atlas Coelestis Edition of 1781. For more about Vulpecula, see Chasing the Fox on Stellar Stories.